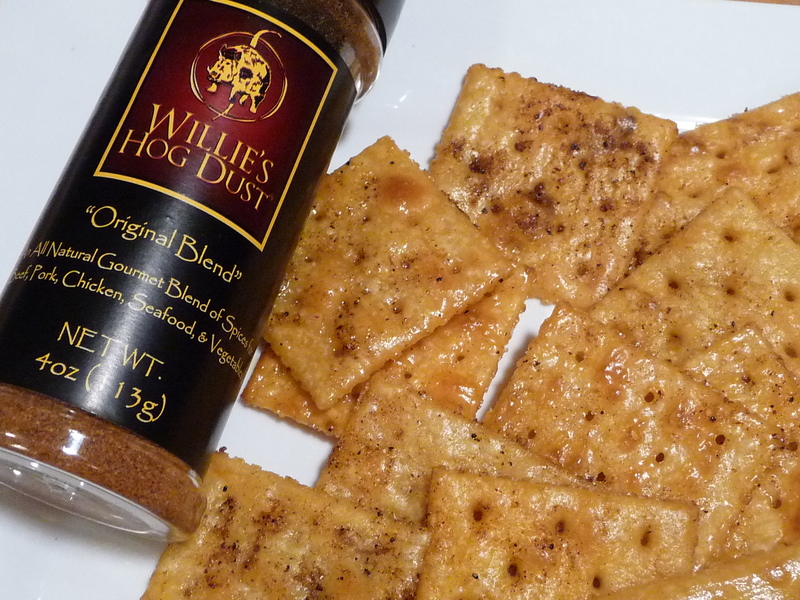 TexasFood.com is a great site for tons of wonderful sauces, salsas and snacks that are made in Texas. This site belongs to Jason Russo, who sent us some products to review. 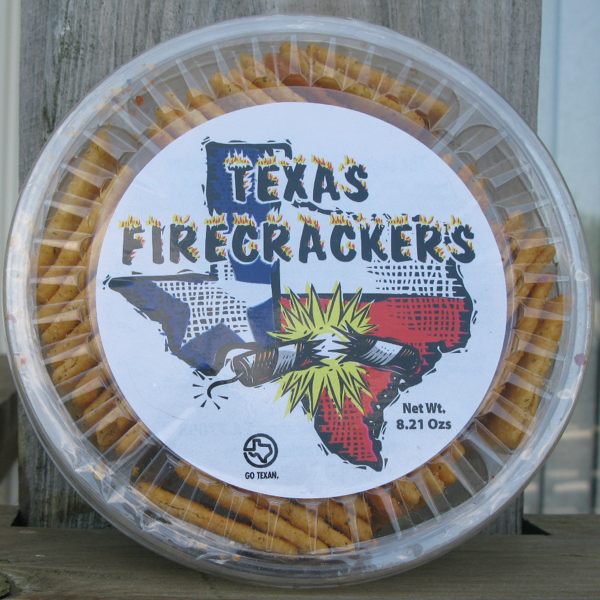 In addition to my current favorite hot sauce, Javelina Red Sauce, reviewed here, he sent us a tub of Texas Firecrackers. 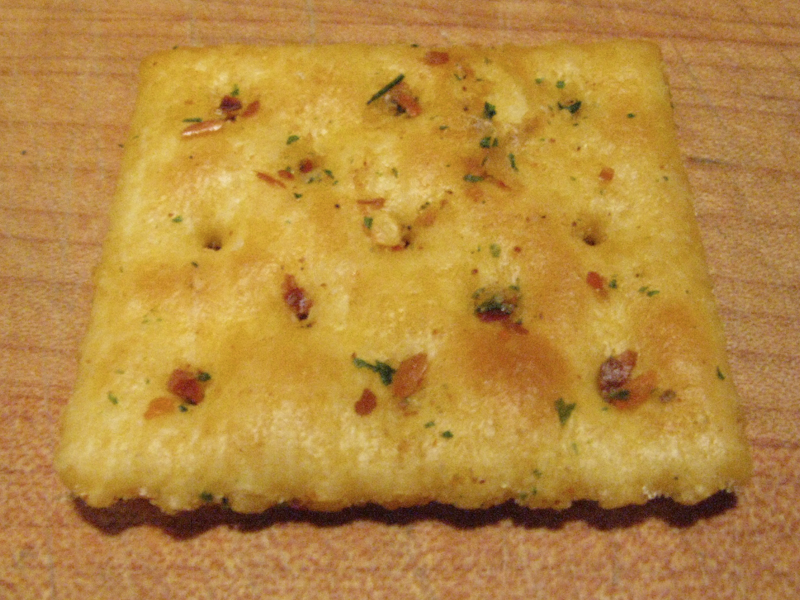 Taste: These crackers, a cross between saltines and “Chicken in a Biskit” crackers with a kick, won 3rd place at the 2009 Scovie Awards in the Unique Snack category. 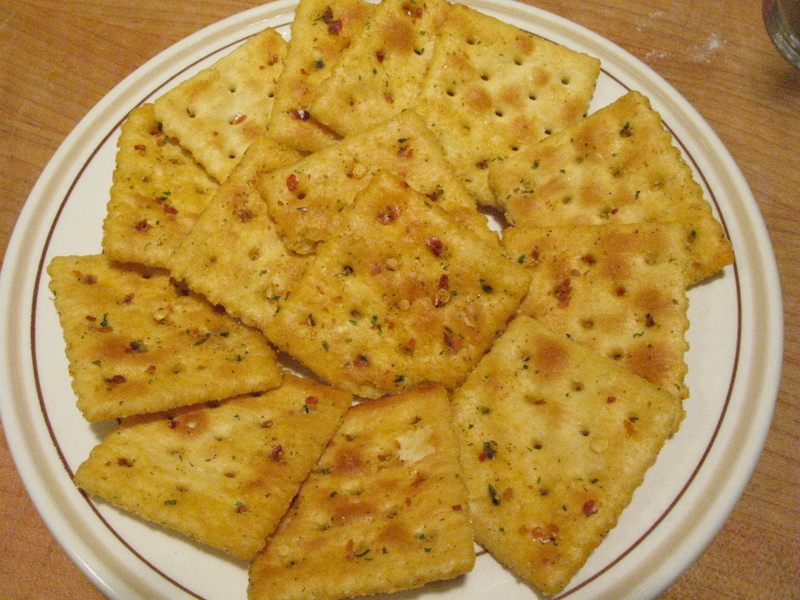 Texture & Appearance: At first glance, they look like saltine crackers that fell in a box of Cheezits, but the color comes from the paprika and crushed red pepper. The flavor is almost cheesy as well, but the only dairy here is from buttermilk. Some people compare the flavor to a ranch dressing, but I never tasted a ranch dressing like this! Heat Level: The heat is very “front of the mouth”, and dissipates quickly. Any cool beverage will do, as these are not “hurt me” crackers. These are great with dips and spreads, cheese, chili, or just by themselves. These really are addictive. Label/Graphics: They come in a clear, round plastic tub, and are packed well so they ship easily without breaking. Ingredients: enriched flour (wheat flour, niacin, reduced iron, thiamine mononitrate (vitamin B1), riboflavin (vitamin B2), folic acid), canola oil, soybean oil, salt, high fructose corn syrup, partially hydrogenated cottonseed oil, malted barley flour, yeast, baking soda, vegetable monoglycerides (emulsifier), maltodextrin, crushed red pepper, garlic, onion, parsley, paprika, carageenan, buttermilk, spice, calcium stearate. 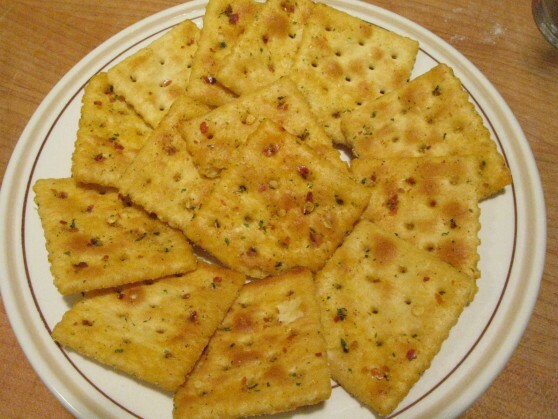 Or to purchase these crackers for your next party or football game, go to TexasFood.com and look under Baked Goods. Better buy a few while you’re there – they won’t last long! We reviewed the TexasFood.com site, so check that post out while you’re here.